What does your perfect home look like? In January of last year, we began the search for our perfect place. Before actually going out and looking, however, we sat down and talked about what we wanted in a home. First and foremost, we decided on a budget. We thought about what we'd be willing to spend on a piece of property and the monthly expenses once we moved in. We considered mortgage payments, taxes, utilities, etc. Our goal was to find a home with minimal living expenses. We were open to building a new home, remodeling an existing home, or living in a home "as is". Each idea has its pros and cons. A new home requires materials. So does remodeling a home. And, living "as is" might mean sacrificing energy efficiency. We decided to keep an open mind on this issue. A home which faces the south tends to be more energy-efficient than homes facing any other direction. During the summer months, when the sun is high in the sky, sunlight doesn't stream through windows and thus temperatures are kept down. During the winter, when the warmth of sunlight is desirable, the low sun shines through. Property with a southern exposure is great for growing vegetable gardens and maintaining fruit trees. We have lived in large cities for most of our lives. It's been nice but we realized that whenever we had time off, we drove to natural spaces. So we decided to search out a home away from the city. Rather than having neighbors a few feet away, we wanted a little space. In thinking about location, it was also important to consider things like the distance to a grocery store, doctor's office, work, etc. We work from home, eliminating the commute issue. Grocery stores, banks, doctors, etc. needed to be reasonably close. Since we don't use any of those services often, reasonably (for us) means within a 30 minute drive, something which we would do once or twice a month. Having enough room for a modest home and a generous vegetable garden was our basic requirement. The property needed to be equipped with water, sewer or septic, electricity, and Internet service. We also learned that not all cell phone providers have towers outside the city (we don't use a "land line"). Armed with our plan, we began our search. To begin, we used the Internet to find properties for sale. This was a great resource as it offered us a lot of information and helped us narrow down the choices before getting in a car to go look. We also made use of public records. We wanted to see if properties had any restrictions attached to them, what the property lines looked like, and whether there were any easements involved. Restrictions are items, written into the deed, which limit the use of a property. For example, some areas restrict the types of trees that can be planted or dictate the color of buildings. Property lines are important because they give owners a clear definition of usable property. Easements also offer information on usable space. For example, looking at public records for one property showed us that the driveway actually curved into the neighbors land. Since this was not designated on the deed, it could mean problems in the future. Conversely, if a portion of land has been used by a neighbor for ages, there is a possibility that they will be allowed to continue using that area, potentially causing problems for your use of that spot. Public records also offer the age of a home or structure, how many times a property has been sold and when, purchase amounts, etc. This information is useful in many ways. For example, if a property was bought and sold many times in recent years, one might wonder why. The price might indicate that it was a good investment and climbed in value so savvy investors made use of a quick turn around purchase/sale. On the other hand, perhaps there was something wrong with the property ... something which didn't require a legal declaration but something which made living there uncomfortable (crime, nasty neighbors, etc.). Having an idea of what we wanted, and searching before leaving home, helped us narrow down the list of potential properties before ever seeing them "in person". In total, we visited three properties. We saved time by knowing what we wanted and we saved gas by searching online. 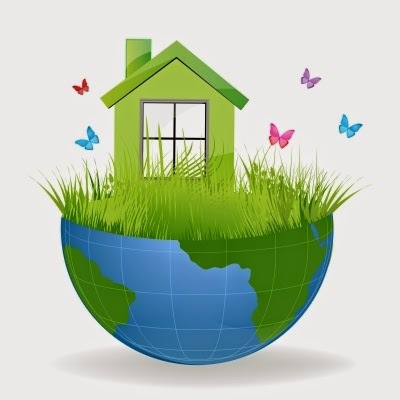 In the next installment of "My Green Home", I'll tell you about the property we finally decided upon. If you've purchased property in the past, what things did you do (or wish you had done) to prepare. If you aren't a home owner, do you plan to purchase property in the future? Change The World Wednesday (#CTWW) - What do you see? I live green to protect wildlife. I live green to protect beautiful spaces. I live green to protect native plants. Deborah stopped by and shared this: "Change the World Wednesday has meant a lot to me (and to so many others). It really helps us learn, share, think, assess and ultimately improve! I am so delighted that you will continue the tradition on a monthly basis this year.Thank you so much for sharing with us at the Healthy, Happy, Green and Natural Party Blog Hop. I'm sharing!" Catarina wrote Why I live green? 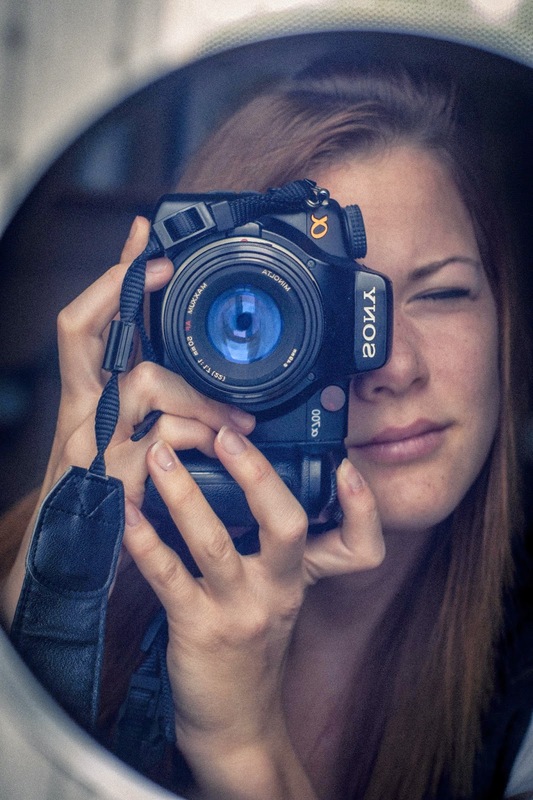 (or try to) where she shares a photo and a terrific video. Please take a moment to view the video ... it's excellent! Nancy shared an interesting photo ... it's a bit different but speaks volumes. Rather than show something which needs to be protected, she chose a photo of something which needs to be fixed. Check out Photo Challenge That Illustrates Why I Live Green. Once you've looked at her first photo, continue reading and view her list of actions. It's awesome! Alicia joined us. Here's what she had to say: "I am running behind on my blog post for the week but will have one up hopefully tomorrow. One of the reasons we live green is that while we were living in California we got educated on how awful the products we use everyday are. We know that we absorb the things we put on our bodies so we need to be aware of the ingredients that are in them. Toxic chemicals are in so many of the products that are found on our grocery shelves. So we decided to work at eliminating as much of the harmful chemicals in our home as we could. We thought that it was going to be really hard to replace the chemical laden cleaning products but found that it was extremely easy! Vinegar. lemon juice, and soda are excellent cleaners. Because of our Eco Natural company we have eliminated all of the chemicals that we use on our bodies. I have seen in the past few years that with a lot of other people doing the same thing companies are taking notice and changing bad ingredients to better ingredients in the products they are producing! Another way we are living greener is by producing quite a bit of our own food, I don't eat any meat or dairy but still eat fish on occasion. My husband eats meat a few times a year but thats all so I feel we are helping produce less greenhouse gases.There are so many reasons we chose to live a greener life and these are just a couple of them." Lois accepted the challenge with these poignant words: "Why do I care? Growing up I was alone a lot, I spent time outdoors in forests, untouched areas or the beaches. I grew to know the sounds of each of the animals and insects and felt comforted by them. I hate watching and hearing about the loss of these living things. I see deer walking through residential neighborhoods because we have taken their habitat. Then I look at my grandchildren and wonder if they will only see these animals in protected habitats or zoos. I want them to experience what I did." Taking photos is a great visual reminder of why we've chosen the path of green living. It's not always easy to walk gently on the earth. During the tough times, a photo can bolster our resolve to protect the world. I believe that we protect what we love. If we love the earth, we'll protect her. This week, go outside and look for something special ... something to appreciate and love. Perhaps it's the way snow melts off a tree or how early flowers are pushing their way through the earth. Maybe it's the feel of crisp air on your face or the way the sun looks in winter. The idea is to look ... really look ... for something positive and wonderful ... something to love ... and protect. If going outside isn't doable, please stand at a window to complete this exercise. Tell us about what you see ... something worth loving and protecting. Are you up for this task? I know that you are! Toxins are everywhere ... in body care products, foods, clothing, new cars, and even water. They float in the air, settle in the earth, and pollute the environment in countless ways. They also harm us! Did you know that BPA (used in food packaging) has been linked to heart disease? Triclosan, a common ingredient in anti-bacterial products, is causing increased rates of allergies. C8, the stuff in Teflon, is being linked to all kinds of medical problems including cancer, thyroid disease, and high cholesterol. Those are just a few of the over 80,000 synthetic chemicals in commerce today. As "greenies" we work hard to avoid them, educating ourselves on harmful ingredients and how they enter our bodies, and diligently reading labels. But the large number of chemicals in our world means that they are hard to avoid. And avoiding them doesn't address the problem of chemicals already in our systems. So how do we get this "stuff" out of our bodies? I was invited to read Toxin Toxout by authors Bruce Lourie and Rick Smith. 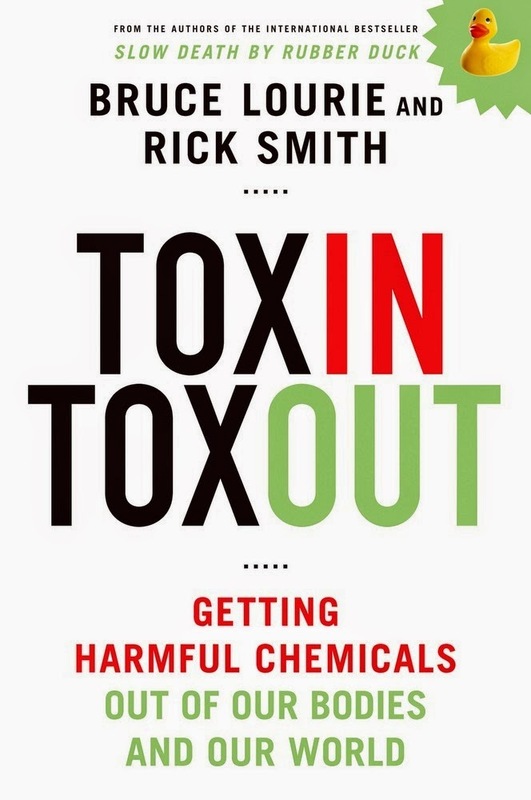 Using self-experimentation and interviews with experts, Bruce Lourie and Rick Smith take a look at how toxins enter our bodies and then go on to investigate detox programs, including the body's own natural detox mechanisms. They discuss the value of herbal remedies, diets, detox kits, and things like the use of saunas to sweat the toxins out. Their treatment evaluation table was fascinating. While I don't want to give you all the results, I will say that many of the popular therapies available today have no detox effectiveness and are, basically, a waste of money. It turns out that some of the least expensive methods are actually the most effective. In a chapter entitled "Clean, Green Economic Machine", the authors talk about what to do with contaminated products. For example, we know that Teflon is bad but what do we do with any pans we already have? If they go into a landfill or incinerator, those toxic chemicals enter the soil and/or air. Further, what needs to happen to ensure that harmful chemicals never enter our environment in the first place. It's an interesting look at the difficulties with adopting a fully holistic approach which covers everything from manufacturing to use to disposal of stuff. And by the way, there doesn't seem to be a good way to dispose of those Teflon pans at this time. My favorite chapter is the last one, entitled "The Toxin Toxout Top 10". Readers are given a simple "to do" list ... easy actions which each of us can adopt to both eliminate and avoid toxins. Is it a perfect list? Of course not. Governments, corporations, and society in general need to shift their thought processes to completely eliminate toxins from our world. Until that happens (and there is evidence that it is happening), there are many things that we can do to avoid the harm caused by chemicals. I believe that this is an important book. It isn't a casual read. Indeed, I found it hard to get through at times. The sheer volume of information takes time to absorb. For those who wish to take some time with it, Toxin Toxout offers useful information. Would I recommend this book? YES! It not only tells us the problem, it gives us practical solutions and hope for the future. If you'd like to pick up your own copy of Toxin Toxout, you can buy it HERE. I received a copy of "Toxin Toxout" in order to write this review. I received no other compensation. All opinions expressed are mine and mine alone and reflect my honest opinion of the material reviewed. Argentum Vulgaris suggested that Meet & Greet get a facelift. I took this comment to heart and revamped the series. Meet & Greet will now be an introduction to a green blog which I will choose from blogs I visit on my Internet travels or from blogs recommended by others. The goal will be to meet more "greenies" and grow our community. Green Girl suggested the following: "On a bit of a shallow note, I'm searching for an eco-friendly, high quality lipstick that has deep color and is long lasting. Same with blonde highlighting solution. If you can do a review of these kinds of products, I would appreciate it. I admit I'm NOT the DIY type, so I'm always searching for the eco-alternative in a developed product. On a more intelligent note, I would love to get your review about a documentary called "I AM", by Tom Shadyac. It is my favorite movie and I think it is so important to sustainability." I'd love to help on the lipstick and hair color reviews but I don't use either of those items. If anyone has done a review on these products, please leave us a comment with the link. The movie, "I AM", sounds fascinating. If I can find a version to watch online or if it comes to my area, I will see it and write a review. Thank you for the suggestions! Thank you both for your ideas! As always, if anyone has a suggestion for content on Reduce Footprints, please send it to me HERE. Morag visited a previous challenge and upped the ante. Here are her comments: "Hi! I'm so glad to have found this Change the World Wednesday challenge. I've got a couple of ideas to up the anti :) Go vegetarian (organic of course) with your beverage (most beers, wines, lagers and ciders are filtered through some kind of animal product). If you can't find a local beverage go for a fairtrade one. It may not lower your environmental footprint but it will make the purchase a fairer one for the people making it. All of that plus your packaging tips, I'm wondering if any such product exists! Going off now to check out your previous challenges :) ... "
Excellent, Morag! Anyone willing to accept this challenge and share the results? Thanks, AV ... I appreciate all your efforts and enjoyed your challenges! This year, we're going to add monthly themes to our challenges. Each month, I'll reveal the theme and then we'll focus on challenges which support the topic. Since we only have two challenges this month, I thought we'd start out gently to flex our challenge muscles. There are many reasons to live green. For some, it's to protect the natural environment. Others want to ensure clean air and water for their children and grandchildren. They say that a picture is worth a 1000 words. So let's show the world why we live green! This week, take a photo (or photos) which speaks to why you live green. If you can, post the photos on your blog. If you'd rather not, just take the photo to remind yourself of why you live in an Eco-friendly way. If you'd rather not take photos, consider your reasons about why you live green and share them either on your blog or in the comments section of this post. Are you ready to show the world why you live green? I know that you are! According to the Electronics Take Back Coalition, consumers purchased 1.8 billion cell phones in 2013. 125 million of those phones are iPhones alone. It is anticipated that the US will increase purchases of cell phones to a projected 1.96 billion in 2015. These are tremendous numbers and are consistently trending upwards. There is a major concern for the amount of potential e-waste this could create if consumers are throwing these phones away after they upgrade to a new phone. What happens if cell phones end up in a landfill? Cell phones and accessories contain heavy metals such as: cadmium, nickel, lead, mercury, manganese, lithium, zinc, arsenic, antimony, beryllium, and copper. If any of these metals leak into the natural environment, toxins may leak into the soil and contaminate it. This may cause metals to enter back into the food chain and cause major health problems. Dumping e-waste into landfills is simply not a sustainable method. This is creating a long-term pollution risk to our environment. We need to work together to recycle and reuse these cell phones and other electronics and help keep them out of landfills. GreenBuyback is a buyback company that purchases cell phones and tablets from consumers nationwide. It is our goal to provide top dollar in order to incentivize consumers to sell their cell phone. GreenBuyback’s primary goal is to find your used phone a new home rather than leaving it in a drawer, or even worse, throwing it in a garbage can. GreenBuyback even buys damaged phones. We work with partners that reuse parts and always recycle unused components. We have a zero-waste policy so you can feel good about selling your old phone and making some extra cash. What are consumers doing with their old phones? GreenBuyback questioned many of their customers what they were doing with their old phones? Some typical responses are “saving them in case I need a spare” or “I know there is value, I just didn’t know where to turn” or “I am scared to sell my cell phone because my data is on my cell phone” GreenBuyback asked their followers on Twitter how many total cell phones are in your house? The average household that responded was 4 phones per house. The highest amount of cell phones in one house that responded was 14 phones! How does GreenBuyback Help the Environment? GreenBuyback gives consumers a safe option to easily sell your cell phone or tablet from the comfort of your home. 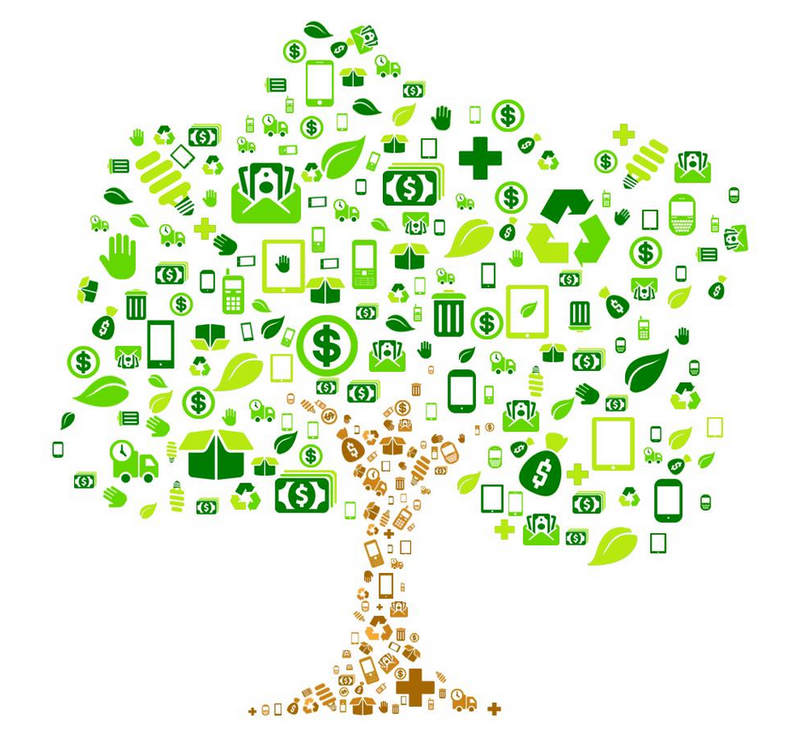 GreenBuyback is dedicated to educate consumers the value of recycling their cell phones, not only for the extra cash, but also for the benefit for the environment. GreenBuyback primarily resells all equipment that is collected from the website. In the case of purchasing damaged phones, we have partnered with trusted repair centers that we resell to. These agents reuse as many components of the electronics that they can. Every other component is properly recycled. Our goal is to help find a new home for your old cell phone. We typically sell to individuals who may not be able to afford the newest cell phone. We strongly believe it is very important to help those in need and also help keep these used electronics out of landfills. What if I can’t Find my Item on the Website? If you cannot find your item on our website simply fill out this quote form. You can sell your cell phone by using this form. In some cases your electronics may be outdated and have no cash value. Please fill out this form in order to find out what your cell phone is worth. If it does not have any cash value, we can still lead you to our trusted partners that accept cell phones and redistribute them to charity. We are dedicated to helping everyone and would love to hear from you. What About my Data Security? Every item that is purchased at GreenBuyback will be completely data wiped. We are dedicated to keeping your personal data safe by eliminating it from the device. Not only do we data wipe and erase all the phones, we remove all sim cards and SD cards. You can always count on GreenBuyback to remove your data. If you need any help deleting the data from the device before you send it to us, simply call or email and we will help guide you through it. We pay all of our customers by either check or PayPal. When you are checking out on our website you will have the option to choose either payment option. We apply payments within 24 hours of receiving the phone into our inventory. GreenBuyback is thankful for all of our customers and appreciate you taking the time to read this article. We are a small business located in NJ and appreciate the nationwide support. Please feel free to drop us a line on our social media channels or give us a call anytime. We are committed to helping consumers stay green. Welcome back to Reduce Footprints! I hope you enjoyed the holidays and are eager to embrace a new year! In April of 2014, "Art" and I bought some property and began building a home. This year I'd like to share some of my thoughts with you. I'll talk about the choices we've made (and will continue to make), how we've learned to work with nature, building practices and materials, and everything concerning property ownership. New this year will be monthly themes. Each month, I'll reveal a green theme and we'll spend the month on challenges which support that topic. The old link-up party just wasn't working. Since the goal is to meet others of like mind and grow our green community, I decided to switch things up a bit. This year, Meet & Greet will feature a blog which I've discovered via Internet travels or one which you, dear readers, recommend. Each feature will be followed by a widget where you can recommend your own blog or sites which you'd like to share with the world. Look for this series on the 2nd Monday of each month. Last year it became difficult to find "guest chefs". While I understand that many food bloggers prefer that people visit their sites for recipes, I'm not comfortable giving my readers a "tease" and them forcing them to visit a different site for the recipe. I'll continue to post recipes when I can ... when generous bloggers allow us to publish a recipe in it's entirety or when I create culinary magic myself. If any of you have original, vegan creations and would like to be featured, I'd LOVE to share your recipe. Last year's survey responses were interesting and offered us a look into the realities of living green. So we'll continue with them this year. If you have a question you'd like answered, send it to me HERE. Last year I touched on a few holistic living ideas. This year, I'll try to kick it up a notch. A plant-based life has it's own unique challenges and joys. I'll continue to share how things work in my life. If you're curious about a particular aspect of a vegan diet, please ask. While NOT shopping is always the greenest choice, there are times that we need stuff. When we do, wouldn't it be great to get a discount? Yes indeedy! So, we'll continue to host the special offers page and an occasional feature post. As with everything on this blog, please do your own due diligence. While I make every attempt to ensure that products and services on this page are truly Eco-friendly, I'm just one person doing my own research. I'll continue to offer reviews on Eco-friendly products and host fun giveaways this year. I already have a number of interesting products to share with you so ... stay tuned! I will continue to accept guest posts on Reduce Footprints. My goal is to offer readers value-added content so each submission will be reviewed and only accepted if, in my opinion, the information is interesting and aligns with the philosophy and goals of this blog. That's not to say that I will always agree with my guests. After all, we all benefit from differing thoughts and opinions. I look forward to experiencing it all with you!